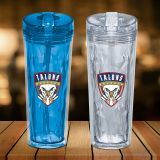 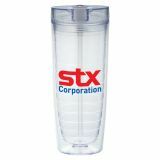 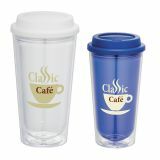 Custom plastic travel mugs and tumblers are trendy and convenient for daily use. 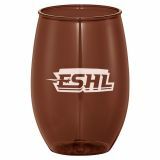 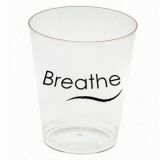 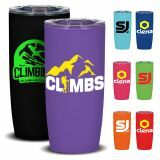 The handy features of these tumblers tempt them to use these every day which means your logo gets steady exposure day in and day out! 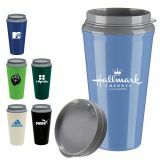 Well suited to promote beverage brands, hotels, fast food chains and more, personalized plastic travel mugs have always remained in style among brand promotional gifts. 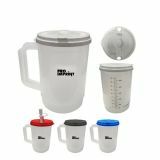 Choose from a range of colors and trends of plastic travel mugs at ProImprint to grab the best price advantage, FREE set up and artwork assistance offered and attractive discounts on bulk purchases. 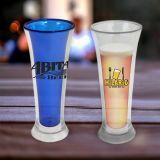 We offer rush order and shortest turnaround time as well. 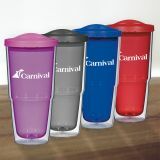 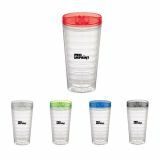 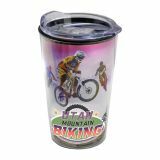 Custom Plastic travel tumblers are low budget promotional gifts that will take your brand on a top speed ride in your customer community. 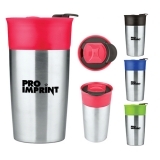 With tons of colors and shapes to choose from at ProImprint, people will literally fall in love at first sight with these logo imprinted plastic travel mugs that keep their drinks warm or ice cold! 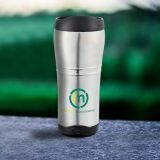 The handy grab-on-the-go features and portability of these promotional travel mugs make them popular business gifts that will keep your brand in bold display as they serve up their favorite beverages every time. 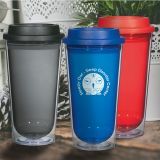 The best part is that these reusable tumblers will cut down on the risks of disposable cups that choke the earth! 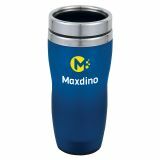 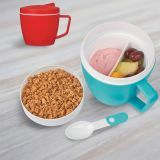 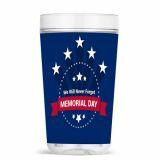 The drink through lid, sleeve grips and stylish and durable design will also make these personalized plastic tumblers great personal gifts for kids’ parties and birthdays. 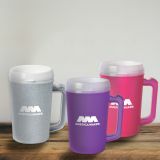 Plastic travel mugs make thoughtful gifts of appreciation for employees and when they show it off during weekend parties or among their friends your brand image will go up for sure! 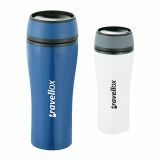 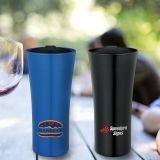 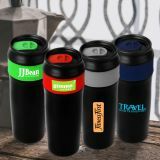 Logo imprinted custom travel mugs offer the best of both the worlds of functionality and fashion to your customers. 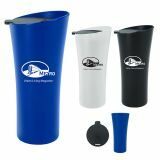 These make potent promotional gifts for businesses and even nonprofit organizations. 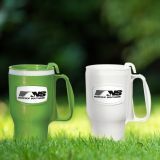 Plastic mugs are regularly used and noticed by many people on the road, at work places, in parks or sports fields and your logo enjoys a 360 degree visibility among your potential customers. 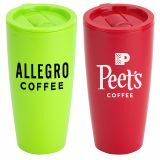 Custom promotional travel mugs offer a generous imprint area for your logo and message. 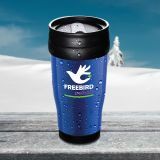 When they use these items many times in a day, your logo will get popularized among your users and will stir up an interest among the onlookers as well. 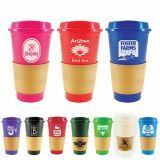 ProImprint has a spectacular range of custom plastic travel mugs in all possible prices, sizes and colors that can be printed with your logo. 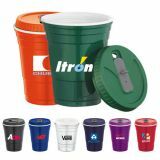 Should you need any selection tips, feel free to call us at 844-776-4677 or email us at info@proimprint.com and we can help you come up with the best options.